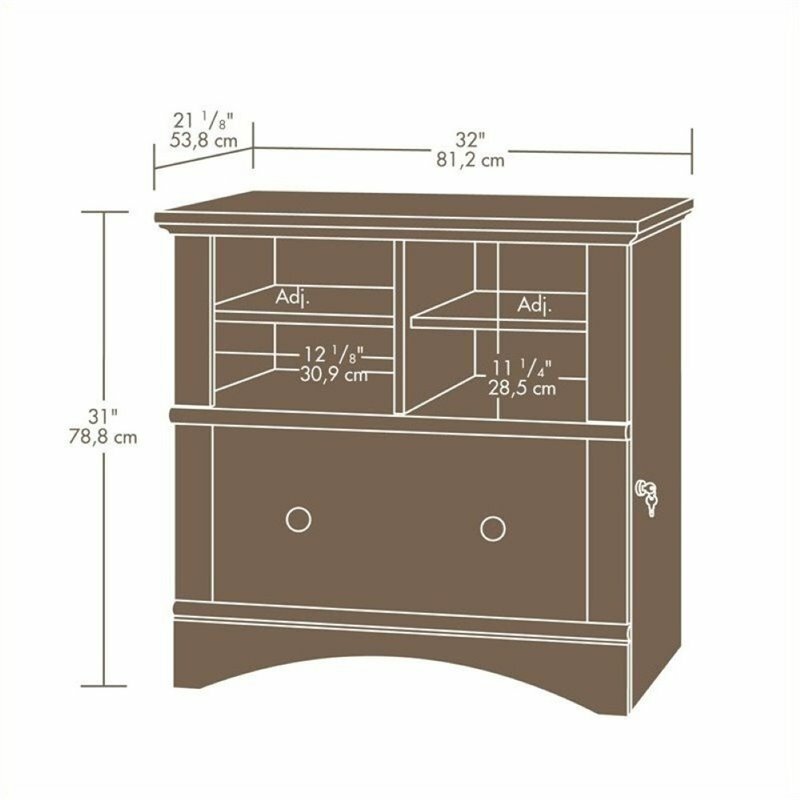 An arched apron, overhang top, and other decorative touches give the collection its storybook warmth and charm. 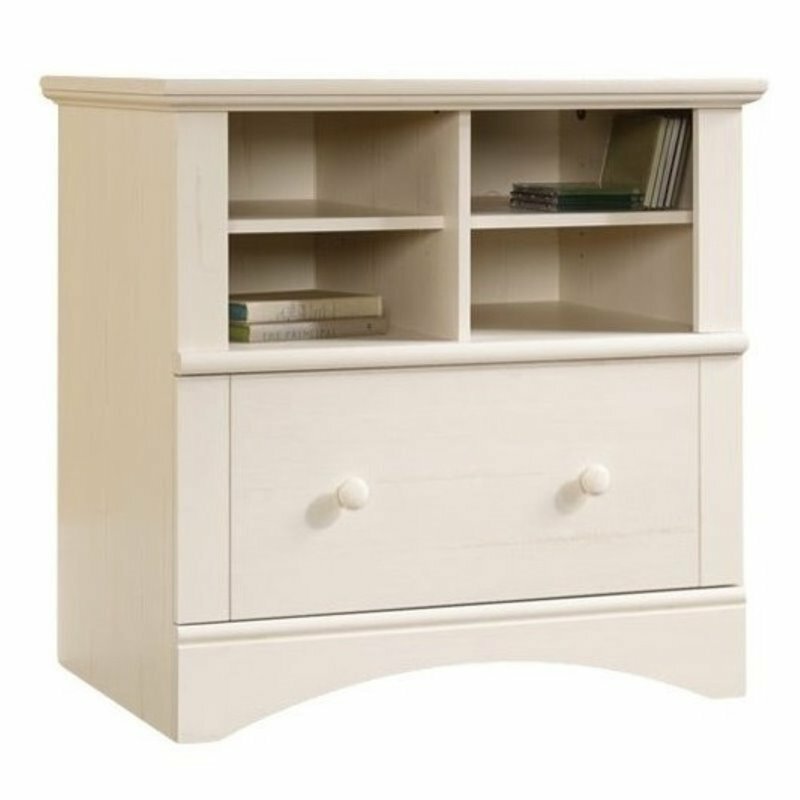 This lateral file cabinet, with cubbyhole storage, will add a charming country chic to your family room or home office. 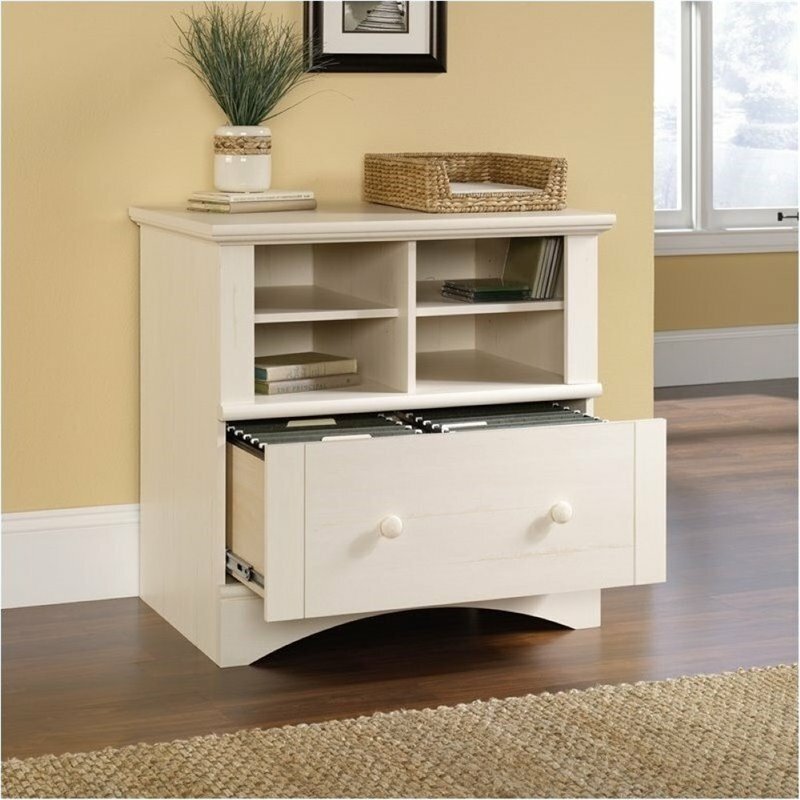 Locking drawers with full extension slides holds letter, legal, or European size hanging files. 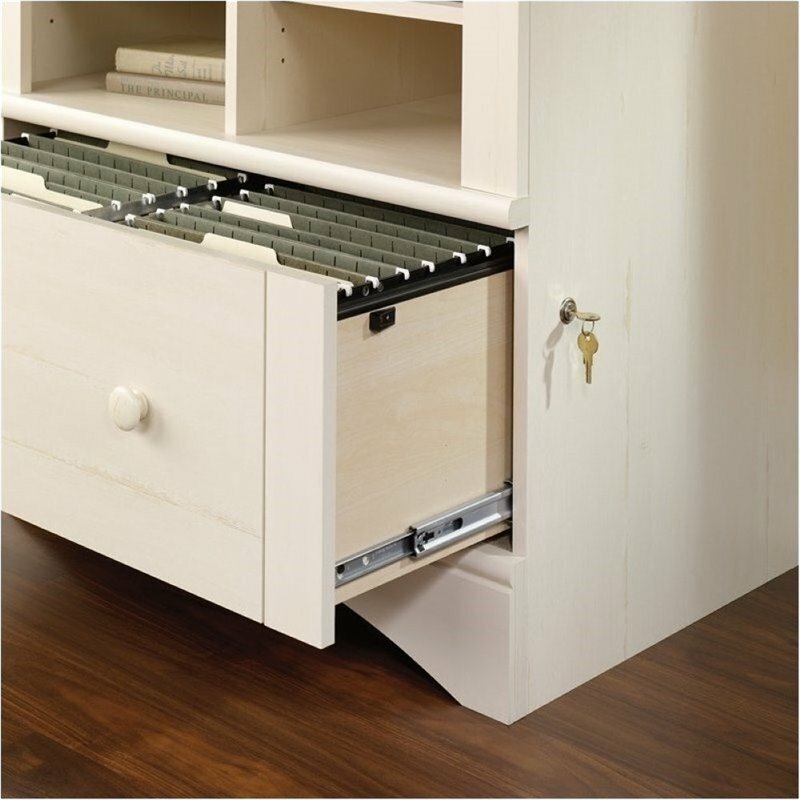 Quick and easy assembly with patented TWIST-LOCK® fasteners and patented T-lock drawer assembly system. 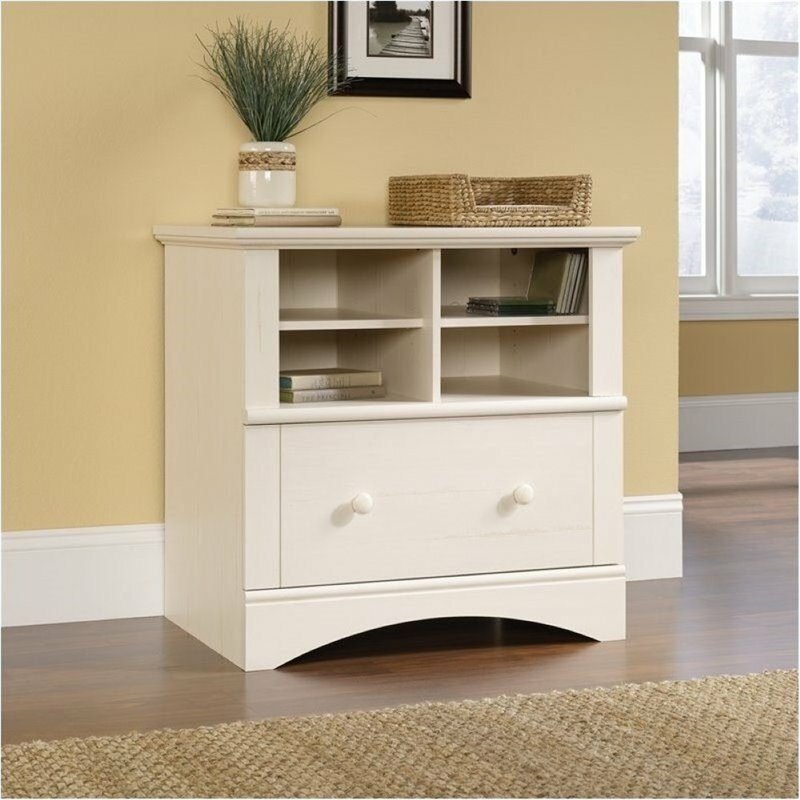 Finish is Antique White, which means it is made to look vintage. It will be discolored and have distressing. It is not pure white and other colors will be visible.